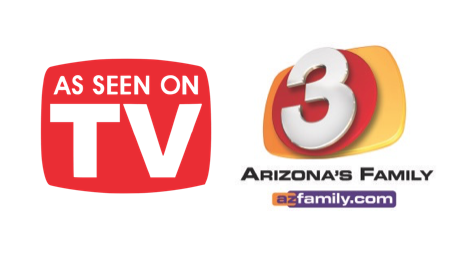 SUNTAN LOTION STAINS – Aired on 3TV/Phoenix (Good Morning Arizona) Monday, July 30, 2018 (8:42am) – View Video at the bottom on this post. When you are spending time outside, suntan lotion is an absolute necessity, but the grease stains that come with it are not! Here’s how to remove these stains. Sprinkle baby powder or cornstarch on the stain to absorb the excess oil/moisture. Leave on for an hour or so. Soak the stain in undiluted white vinegar for 15 minutes or so, then work in dishwashing liquid. Wash the garment in the hottest temperature the care label will allow with the appropriate bleach for the fabric and color. How to remove the orange-ish and sometimes yellow-ish stains left by some sunscreens. Coppertone Sport tends to leave these stains. There’s an ingredient commonly found in sunblock called Avobenzone, and it causes those stubborn orange colored stains. When Avobenzone comes in contact with iron, a chemical reaction occurs that creates stains that are basically rust stains. This occurs because there’s iron in our water supply, especially if you live in an area with hard water or well water. We end up with those orange-ish sunscreen stains what we need to treat as rust stains. There are some rust stain removers that are designed specifically for laundering purposes, like Carbona Stain Devils #9 (Rust and Perspiration). You’ve heard me talk about these many times. Find in the laundry aisle at grocery and home stores. They are small yellow bottles and each one treats a different stain. Remember, Stain Devils aren’t a pre-treatment, like a laundry stain remover, instead they’re meant to be used directly on the stain, and then rinsed out before the garment goes in the washing machine. There are also general purpose rust removers, like Whink Rust Stain Remover, that can be used for removing rust stains from hard surfaces like porcelain as well as from fabrics. Look for rust removers at hardware and home centers and follow directions. Be sure they say they can be used on fabrics. There’s also a natural solution for rust stains using lemon juice and salt. Rinse the stained area of the garment with cool water and squeeze lemon juice on the stain. You can also use bottled lemon juice. Check the $$ Store for an inexpensive bottle. Lay the garment flat and saturate the stain with lemon juice. Next sprinkle salt heavily over it. Let it sit overnight, brush away the salt and then launder as usual. When it comes to treating rust stains, skip the use of both chlorine bleach and oxygenated bleaches, because they can make the stains worse. Read the ingredients on sunscreen and sun block. Stay away from products containing Avobenzone. Look for sunscreen/sunblock for babies or children. Yes, it will work, but it won’t leave those orange-ish stains. Also, spray products tend to spread in areas we didn’t intend to put sunscreen, like clothes. Use a cream or lotion instead to control where you put it. If you catch a stain right as it happens, grab a baby wipe, which will be safe to use on almost any kind of fabric, including silk, and which will remove a new self-tanner stain. If you don’t have baby wipes on hand, turn the fabric inside out and flush it with water; turning it inside out will allow the water to push the self-tanner away from the fabric, rather than back through it. Then, rub a small amount of a grease-cutting dish soap like Dawn into the stained area using your fingers, rinse with cool water and repeat as needed until the stain is out or at least diminished enough that the garment can be laundered as usual. When dealing with an older stain, an oxygenated bleach is going to be the best bet for saving your favorite shirt. Dissolve a scoop of it in a gallon or so of hot water, and submerge the item in that solution. Let it soak for a few hours up to overnight, the longer the better, before laundering as usual. If the towels are white or light colored, hydrogen peroxide is a good option for removing self-tanner stains. On darker colored towels it may lead to color loss, so always be sure to check that it’s safe before using peroxide for stain-removal purposes. For stains that are more set-in, the same oxygenated bleach you’ll use to get self-tanner out of clothes can be used on towels. 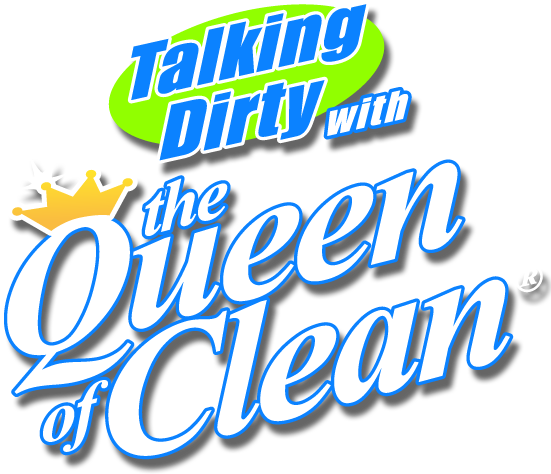 QUEEN TIP: Keep a dark colored towel to use all the time when you self-tan. The stains won’t show and you won’t ruin multiple towels. This is my favorite stain remover. It removes pretty much anything including grease stains. You can keep this on the laundry room shelf. Shake before using.